In one of the strangest marketing stunts of all time, SpaceX launched a Falcon Heavy rocket with one of Elon Musk’s Tesla models on board. It was released and now floats in space with a dummy driver behind the wheel. Elon Musk is the founder of SpaceX and co-founder of Tesla. Best case scenario? It stimulates some interest in space and engineering. Probable scenario? It is quickly forgotten and becomes a big piece of space junk orbiting our planet for thousands of years. ﻿You can watch it here. The popular HBO series Game of Thrones is coming to an end. With one season left, showrunners David Benioff and D.B. Weiss will be looking to the stars for new work. Lucasfilm reports Benioff and Weiss will take over the next Star Wars series. It’s still unclear how many films the two will write and produce, but there is plenty of opportunity for marketing tie-ins now that HBO has some friends working for Disney. From the Gecko, the Caveman, Rhetorical Questions, and Unskippable, GEICO has mastered the art of comedic campaigns. GEICO knows that ads interrupt content. So, to make up for interrupting that, the latest campaign features several ads interrupting each other. Check out Smile and Say Skis here. AI face swapping is a dangerous tool. Websites like Reddit and Twitter have banned all content that featured celebrity face-swaps. The Verge tells us there are several companies out there that can create fake video content where the creator can face-swap anyone’s face on to theirs and do and say anything. 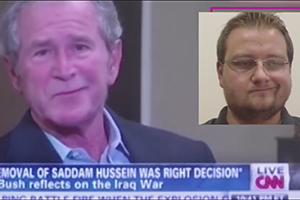 Pictured above, the technology tracks the motion of the user on the right and then changes the original content of former President George W. Bush. Add that to another company's software that pulls from samples and synthesizes a target’s voice, and you could create a host of problems. ﻿The best way to show emotion in written form today is by using an emoji. Anyone can get their point across with the press of a button. 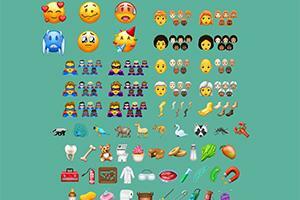 Emojis are more than a cultural phenomenon, they are now considered to be valid forms of casual responses. Tech Crunch tells us 157 new emojis will be making their way to iPhones, Androids, and social media platforms very soon. The ones pictured above are sample designs from Emojipedia, but each company will have their own artists design their final product. ﻿For years, Facebook users have complained that their only option to react to content was to like it, leave a comment, or share it. 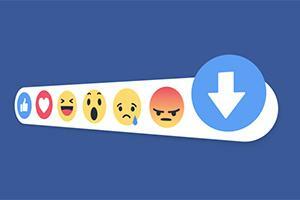 Facebook’s initial response to these complaints was the creation of the different reaction emojis. Business Insider tells us Facebook is testing a “downvote” button that allows users to down-vote content like they do on Reddit. It’s a friendlier option than the dislike button users have been asking for, for years. The standard sell of an Auto Loan puts a new car in your members' driveway. But with summer fun around the corner, you need an Auto Loan that takes your members on an adventure. This was our approach for our latest campaign for Honda Federal Credit Union. They wanted to offer financing on all vehicles, no matter if it has four wheels, two wheels, or no wheels. We've seen great success with Pre-Approval Auto Mailers that show the recipient exactly how much they're approved for. When the mailer is in their hands, what they can purchase is driving circles in their head. It's an immediate reminder of the summer fun they'll be getting from their new boat, motorcycle, RV, or whatever toy is needed for their summer adventure. Add that with a refi challenge, and the potential for response sky rockets. So, if a member isn't really in a position to get on the road with a new ride, the money you could save them on their auto payment may give them room for more fun this summer. We designed the mailer, in-branch collateral, web banners, and follow-up email. If you're interested in putting your members in the front seat of a new ride before summer's end, give us a call or reply to this email. we handle as much ore as little as you need us to do. You can see our work on the campaign here. There are a lot of iconic taglines; Just Do It, Got Milk, The Ultimate Driving Machine, You’re in Good Hands with Allstate. What’s rare is when a marketing tagline or phrase becomes part of the lexicon. The Budweiser 90s campaign made the greeting “Whassup?” mainstream. In the 80s Wendy’s gave us “Where’s the beef?” which, depending on context, doesn’t have to have anything to do with hamburgers. "You can tell the ideals of a nation by its advertisements."